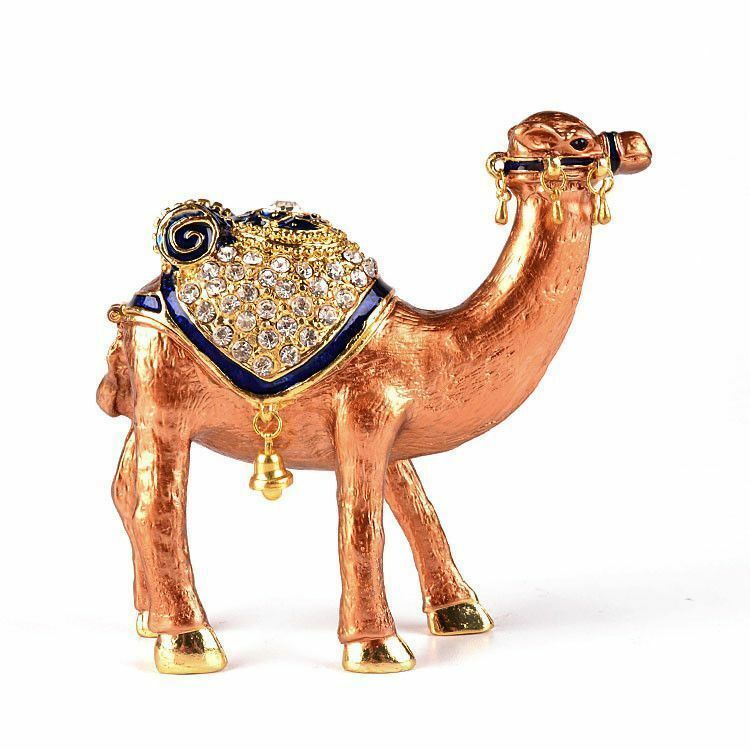 This charming camel keepsake box has been hand made out of pewter before being painted with a thick enamel-like paint by artists. The box opens and closes with a magnetic clasp. 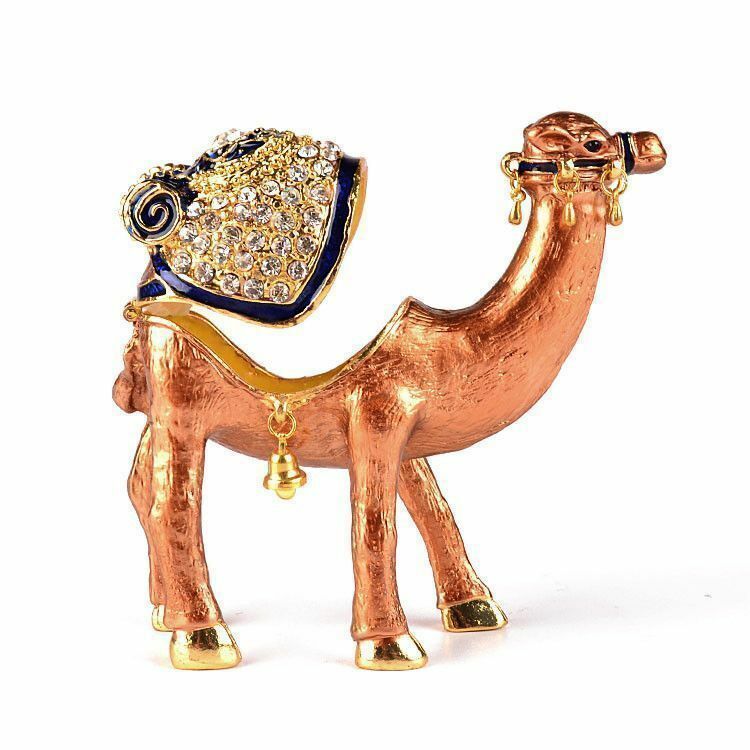 The clasp is very easy to open, but closes very securely. 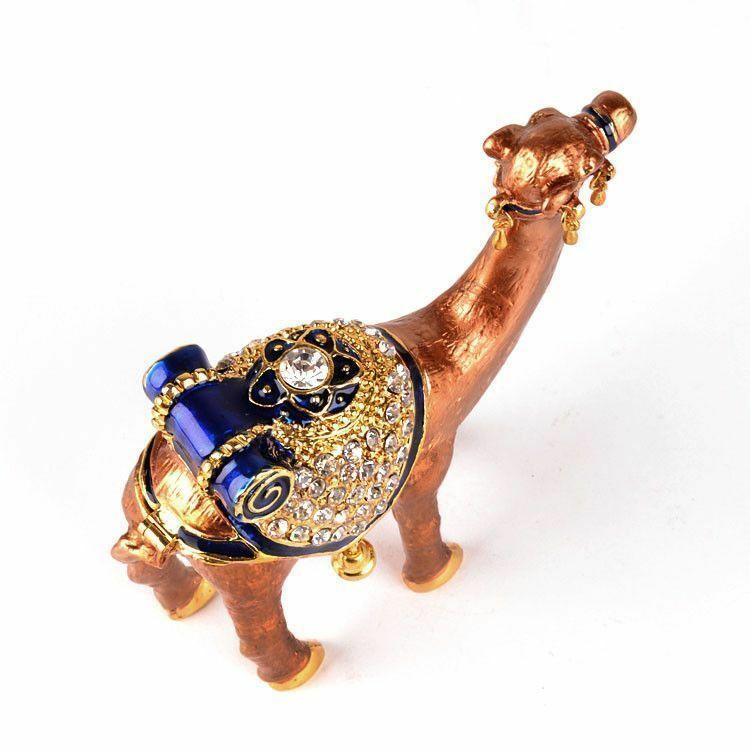 The camel is wearing an afghan and bells. 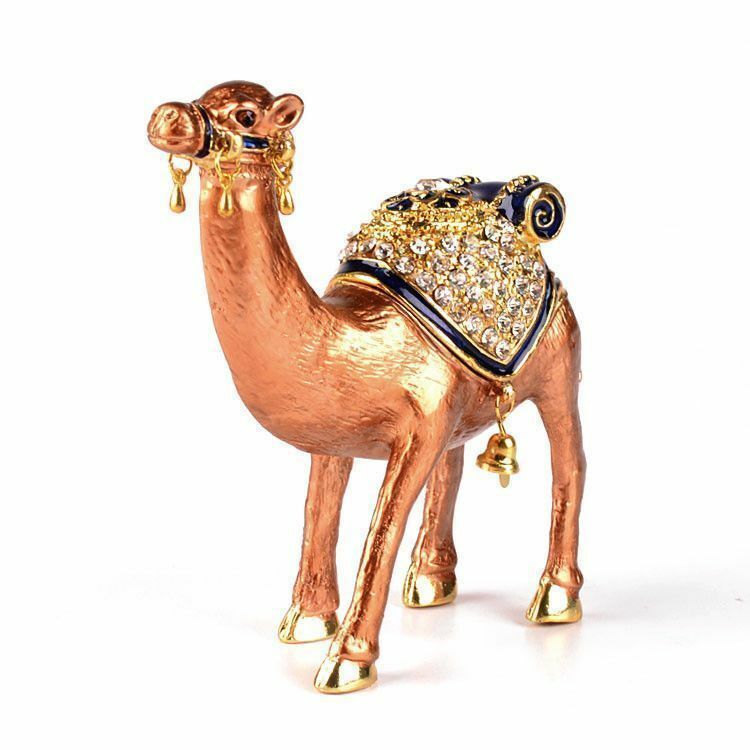 The inside of this box features a bright yellow color, and the camel comes in a satin-lined gift box. 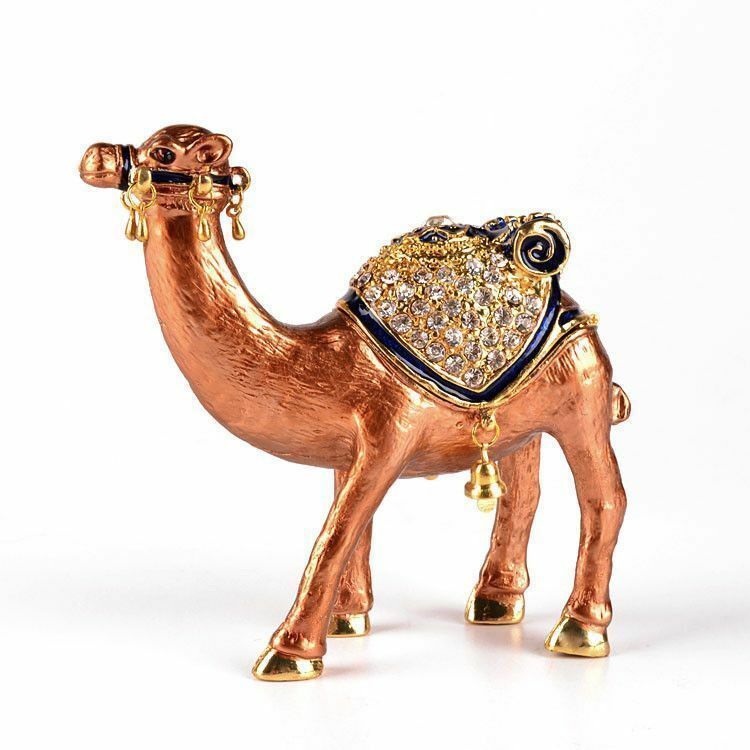 This unique camel memory box is both practical and beautiful. Pick yours up today.